5G will create new demands on service provider networks. The existing MPLS network infrastructures of service providers won’t be adequate by themselves. In today’s sponsored episode, we discuss exactly what 5G is asking of the network. 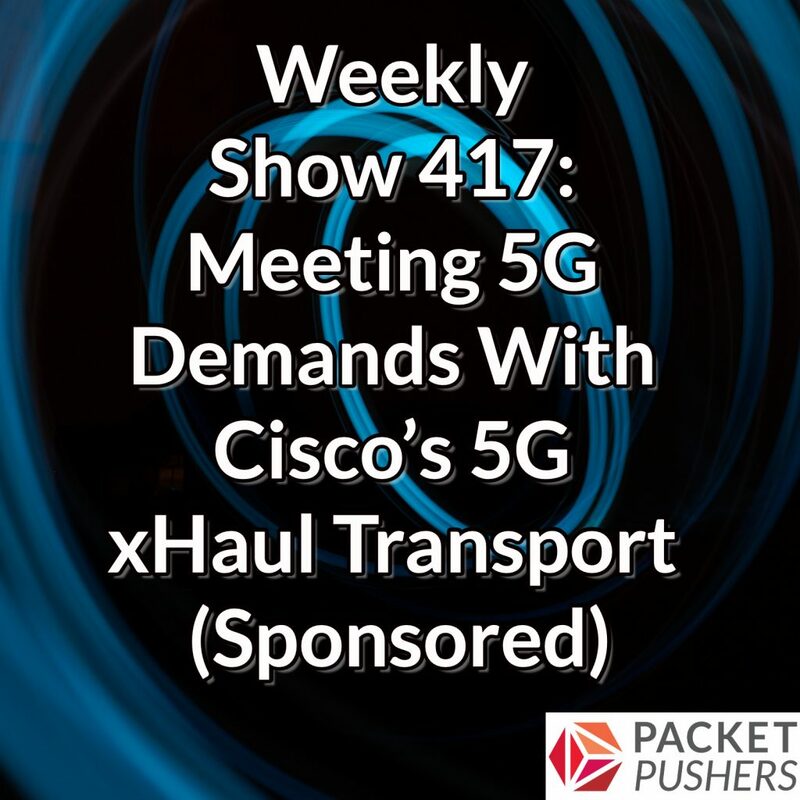 We also examine how Cisco’s 5G xHaul Transport solution can meet those requirements. Our guests are Simon Spraggs, Distinguished Consulting Engineer; and Dennis Hagarty, Technical Marketing Engineer with Cisco Systems. We cover the technologies that 5G is bringing into service provider networks, including virtualization functions, network slicing, edge computing, and IoT. Our guests explain why existing MPLS cores can’t handle 5G demands, and explain the main requirements for 5G networks. We also look at how Cisco’s Converged xHaul Transport can help service providers address their 5G challenges and requirements.